The SIS logo, designed by the then editor, Malcolm Lowery. The first issue of S.I.S. Workshop No. 1 appeared in March 1978. Called SIS Workshop until 1996, C&C Workshop is a more informal publication that appears three times a year. It is dedicated to the memory and spirit of Derek Shelley-Pearce, its first editor, who died in 1992. Workshop did not appear between 1996 and 2002. 14 issues of SIS Internet Digest appeared between 1996 and 2002, as a means of communicating Internet-sourced information to members. An early ad-hoc design of the SIS logo by Malcolm Lowery. 1978: Ages in Chaos? How valid are Velikovsky’s views on Ancient History? 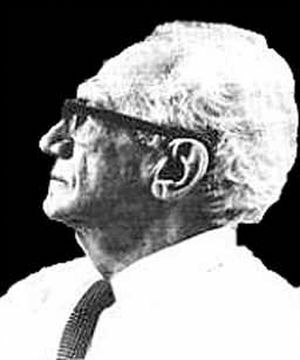 1995: Velikovsky’s 100th Birthday Memorial Weekend. 1997: Natural Catastrophes during Bronze Age Civilisations: Archaeological, Geological and Astronomical Perspectives.Proceedings published in British Archaeological Reports S728, 1998, “Natural Catastrophes During Bronze Age Civilisations: Archaeological, geological, astronomical and cultural perspectives”, edited by Benny J. Peiser, Trevor Palmer and Mark E. Bailey. ISBN 0 86054 916 X., pp.252. 39 photos, 46 figures, 13 tables, Publ. Archaeopress, Oxford. (Second SIS Cambridge Conference)Trevor Palmer, Perilous Planet Earth: Catastrophes and Catastrophism Through the Ages, Ch.29 “Natural Catastrophes and the rise and fall of civilisations”, Publ. Cambridge University Press, 2003, ISBN 0521819288, 9780521819282. page 346 including contributions from: Benny J. Peiser, Trevor Palmer, Mark E. Bailey, Robert A. J. Matthews, Bill Napier, Gerrit Verschuur, Bruce Masse, Marie-Agnès Courty, M. G. L. Baillie, Amos Nur, Lars G. Franzén and Thomas B. Larsson, Bas van Geel, Oleg M. Raspopov, Johannes van der Plicht, Hans Renssen, Euan MacKie, Gunnar Heinsohn, David W. Pankenier, William Mullen, Irving Wolfe, and S. V. M. Clube. 1999: SIS Silver Jubilee Event, Incorporating a conference on Chronology & Catastrophism. “The SIS was formed in 1975 to provide a forum for the discussion of all aspects of catastrophism and chronology ..
.. in 1973, archaeologist Euan MacKie wrote in New Scientist that, no matter whether Velikovsky was right or wrong, he had formulated hypotheses which should be tested in the normal way 17. In the same year, he suggested in Pensée that radiocarbon dating might provide the evidence for a test of Velikovsky’s theories of global catastrophes and chronological revisions 18. A year later, on the 5th November 1974, MacKie discussed related matters with Harold Tresman, Brian Moore and Martin Sieff over a meal at the Regent Palace Hotel in Picadilly and, as a direct consequence, the SIS came into being”.Natural Catastrophes During Bronze Age Civilisations: Archaeological, geological, astronomical and cultural perspectives, edited by Benny J. Peiser, Trevor Palmer, Mark E. Bailey, BAR International Series 728, 1988. ISBN 0 86054 916 X. (Full text) Inline references 17 MacKie, E.W., 1973, A challenge to the integrity of science, New Scientist 11 January, 76-77. 18 MacKie, E.W., 1973, A quantitative test for catastrophic theories, Pensée IVR III(Winter), 6-9.
to foster research among scientists and scholars towards achieving these aims. 13. ↑ Proceedings published in British Archaeological Reports S728, 1998, “Natural Catastrophes During Bronze Age Civilisations: Archaeological, geological, astronomical and cultural perspectives”, edited by Benny J. Peiser, Trevor Palmer and Mark E. Bailey. ISBN 0 86054 916 X., pp.252. 39 photos, 46 figures, 13 tables, Publ. Archaeopress, Oxford. 17. ↑ Natural Catastrophes During Bronze Age Civilisations: Archaeological, geological, astronomical and cultural perspectives, edited by Benny J. Peiser, Trevor Palmer, Mark E. Bailey, BAR International Series 728, 1988. ISBN 0 86054 916 X. (Full text) Inline references 17 MacKie, E.W., 1973, A challenge to the integrity of science, New Scientist 11 January, 76-77. 18 MacKie, E.W., 1973, A quantitative test for catastrophic theories, Pensée IVR III(Winter), 6-9.